BlogHome » Blog » Is it safe to play it safe? Is it safe to play it safe? Is there really such a phenomenon as playing it safe? I suppose one could make an intelligent case that some activities are more risk free than others. Sitting on my couch watching television seems to be safer than bungee jumping. Investing money in penny stock seems much riskier than hiding money under my bed. There’s clearly a common sense element to this notion we’d all benefit from understanding. However, the admonition to play it safe can also be a major dream killer if one doesn’t place it in a broader context. In almost all cases where someone speaks of playing it safe, they’re thinking in terms of what is 1) physically harmless 2) economically conservative or 3) NOT socially embarrassing. But what happens to our concept of safe if we add the following two categories into the mix: what is 1) psychologically palatable and 2) spiritually satisfying? Does it then become possible that every decision is risky and safe at the same time, but in a different sense? Is it possible that by playing it safe in one sense, we are placing ourselves at great risk in another? In relationship to what, exactly, are we playing it safe? As you consider making plans and setting goals, are you focused solely on not losing money, avoiding discomfort, or escaping the possibility of embarrassment? Is your concept of playing it safe causing you to put your happiness at risk? By not taking any chances, are you playing Russian roulette with your spiritual legacy? In light of the four categories of risk I’ve mentioned, what if there is no such thing as playing it safe at all? 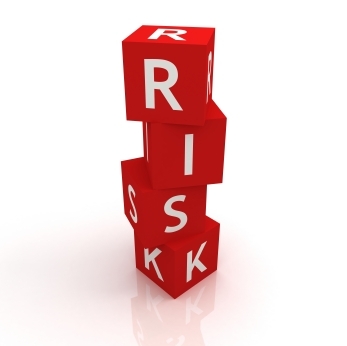 If there is no such thing as playing it safe, what should the basis of your decisions be? You tell me! I’d love to hear your thoughts. 1. Are you good enough to be bad? 2. Excuses are great, but they don’t create.